Since year 2008 Qutone has been creating a sustainable mark in the Global tile industry. Qutone has set a benchmark for its creativity in its products and services. Qutone is always well known for its mesmerizing designs that create a magic in living spaces. Chhabria & Sons has been a long time dealers of Qutone with the best in class smart tiles launched by Qutone, The imarble collection which is very popular for its look and finishes and is nearly half the price of marble available in the market which will make you go for imarble over granite or marble. Chhabria & Sons deals with wide range of Qutone products such as wall tiles, floor tiles with exotic finishes and colors that no other brand offers, Qutone gives that vibrant decors with enchanting shades with the unmatch detailing that Qutone is famous for. Qutone is available from low price segment to high price segment covering all the budgets. 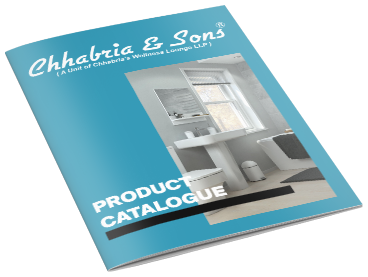 Download our various collection of Qutone catalogue to know more about the brand and tiles, or just visit www.chabsons.com to know more. Page rendered in 0.0792 seconds.